Happy holidays and Merry Christmas to all. Too my family and friends, your the best. To my girlfriend, love you. To my Titan’s, you better WIN this game tonight! To my boss, thank you for believing in me. 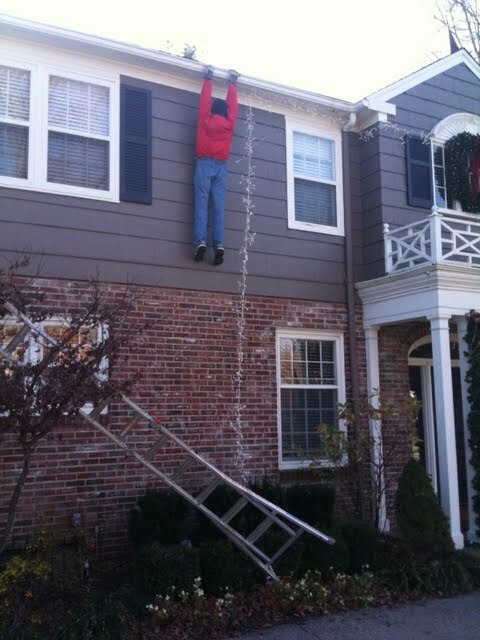 The Greatest Christmas Decoration Ever? The short story behind it. This comes from a personal friend who lives very close to me! Actually just a few neighbor hoods down. I posted about this on Friday as soon as I heard the story from a co-worker. 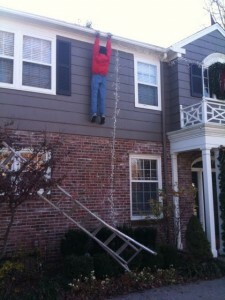 He sent me this picture, The Greatest Christmas Decoration Ever for sure, off his Blackberry. Hilarious. 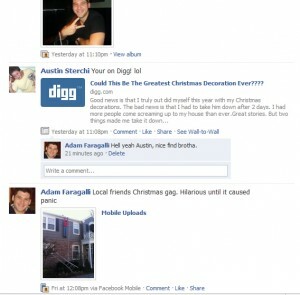 Facebook Friday Post Proof, Greatest Christmas Decoration Ever? Jon went on to say that this guy had people literally screaming off the road into his drive way, tire marks and all, to save this poor guy. To there surprise, he was not real! Though, for some reason, the police disagreed and asked him to take it down. He said that he did not see the harm in it. Priceless. Straight from the Greatest Christmas Decoration Ever creator: “Good news is that I truly out did myself this year with my Christmas decorations. The bad news is that I had to take him down after 2 days. I had more people come screaming up to my house than ever.Great stories. But two things made me take it down. The old-lady probably could not hear the man NOT SAYING ANYTHING, lol! That’s horrible and too good. But only because she was not hurt! This one has to go down as one of the Greatest Christmas Decoration Ever.